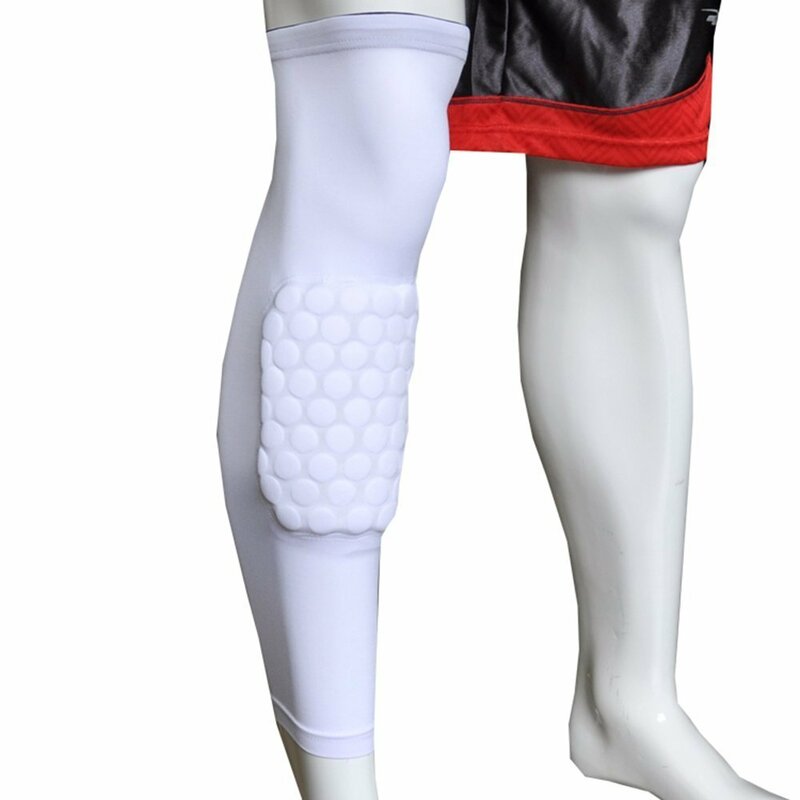 Because this knee pad is labeled as the strengthening basketball knee pad its main purpose is to strengthen the leg and protect the knee during a basketball game. However this knee pad is suitable to be used for other sports and activities too. Wear it while playing football, golf or even when cycling and your knee will always be protected from impact and your muscles will have extra support to prevent pulling or otherwise hurting them. This knee pad differs from others because instead of being short and covering only the knee and the tissue in the area around the knee this knee pad is long and will come down to your ankle, which is done for a specific reason. Because elastic polyester fabrics is used to make this knee pad it is able to not only protect the skin in this area from cuts and abrasions but also keep the shin and calf muscles warm and tight that way protecting them from any muscle damage that could occur while doing different motions. And since polyester fabric famously is very strong, durable and resistant to different substances and weather conditions but still has breathable qualities too these same characteristics also apply to the knee pad. Seeing as this is a knee pad it does have cushioning in the knee cap area that is able to protect your knee from impact and lessen the stress that impact has on your joint meaning that there is much less chance of any type of injury occurring if you fall or receive a blow to your kneecap. The padding is made in honeycomb design so it consists of many small hexagons and is more efficient at providing protection for the knee. And lastly the knee pad also has anti slip band on the top and bottom of the knee pad that will ensure that the knee pad stays in place even after hours of wear and most vigorous of activities. These knee pads come in unique design and in four beautiful colors. 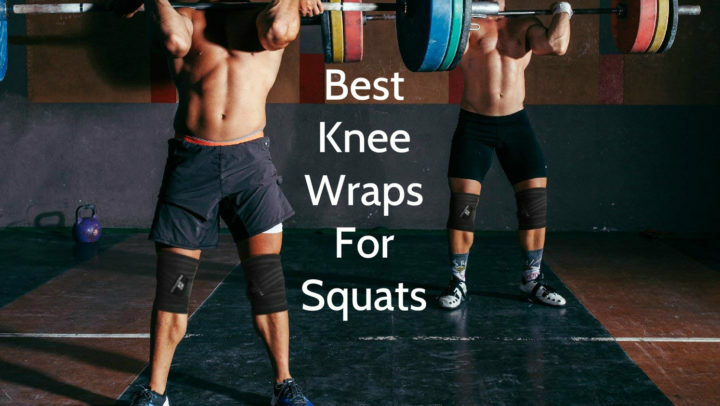 The knee pad itself is long going down to your angle which will let the pad to protect your knees as well as to keep your shin and calf muscles warm. There is a honeycomb like pattern on the knee cap part of the pad which is created by the cushioning placed there. And you can purchase the knee pad in black, blue, red or white color so that you can match the knee pad to your color preferences or even to your sports uniform. There are three different sizes of these knee pads available for purchase. Each of the sizes are measured according to the length of the knee pad, the circumference of top and bottom of the knee pad as well fit suggestion is mentioned at the end of the size guide that lets you know approximately at what weight each knee pad should be worn. If you like more coverage and more protection this knee pad might be right up your alley. 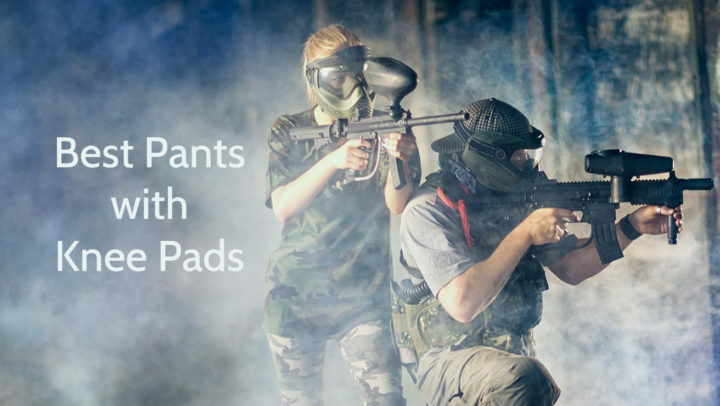 This knee pad manufactured by AGPtek has a longer design that features honeycomb like padding on the knee and covers your leg with elastic polyester fabric up to your ankle protecting your knee from impact while also strengthening and warming your shin and calf so that it is easier for you to move and you can be confident that you won’t sustain any injury to any of these areas. On top of that you can choose from three different sizes of this knee pad and from four different colors so that the knee pad is tailored to your size and your liking.